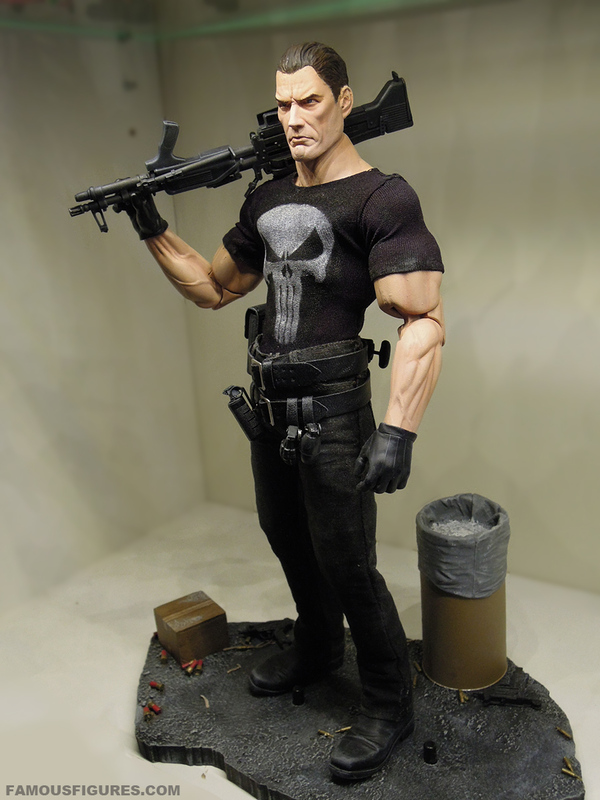 Here’s a custom figure of Frank Castle aka The Punisher from the superb PUNISHER MAX comic series. I wanted to emulate artist Goran Parlov’s highly-detailed “cartoony yet serious” art style. 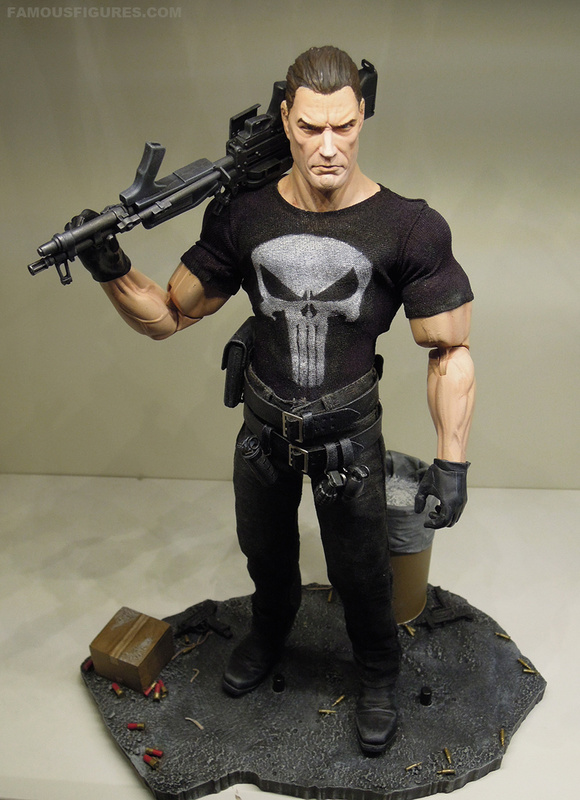 Parlov also gave The Punisher a stripped down, hulking and weather beaten look. 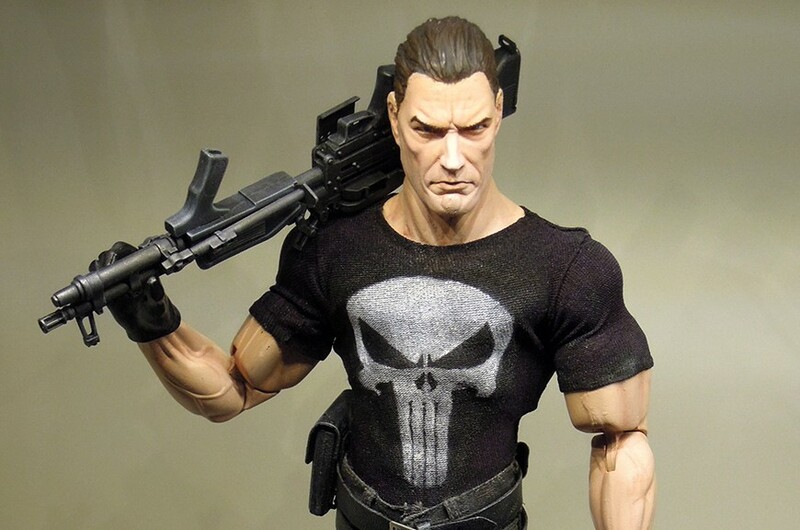 It’s a nice contrast to The Punisher’s usual look where he’s loaded down with weapons and gear. 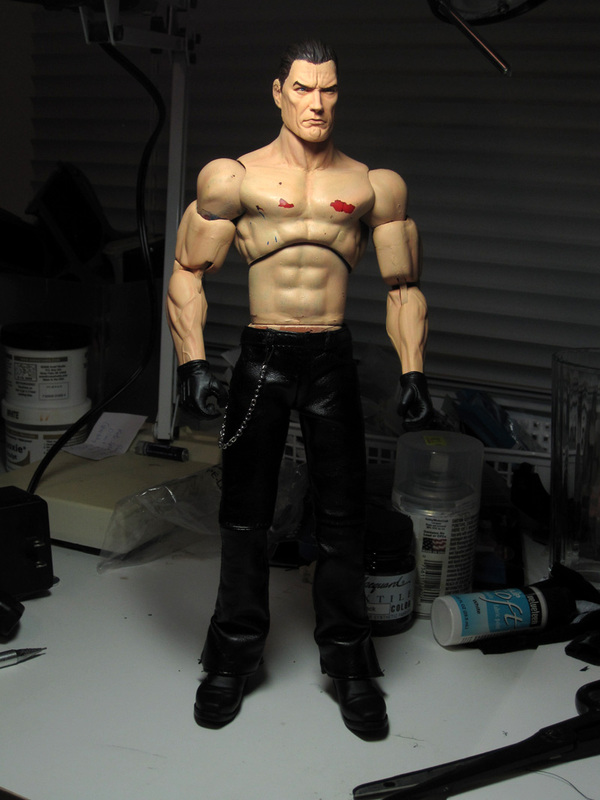 I first posted this figure in 2010, but reworked it over and over until 2013. 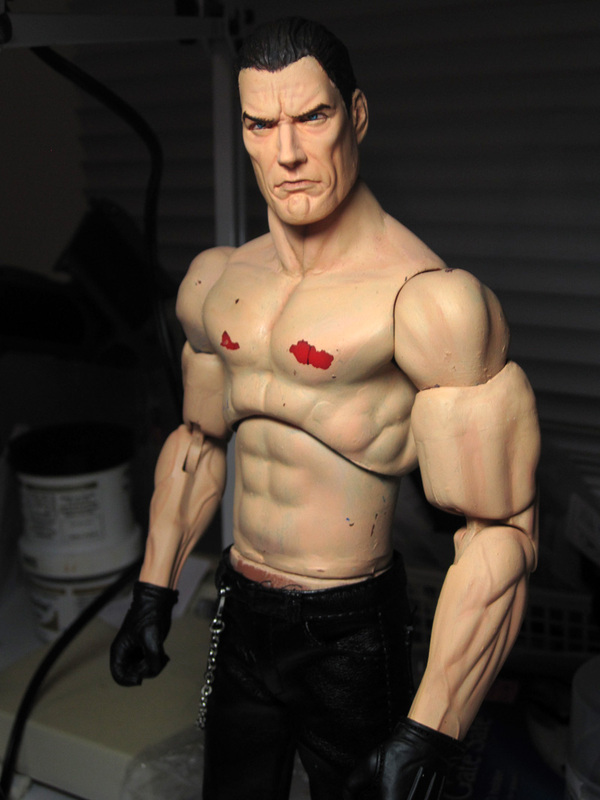 Needless to say, a lot of customization went into this 1:6-scale figure. 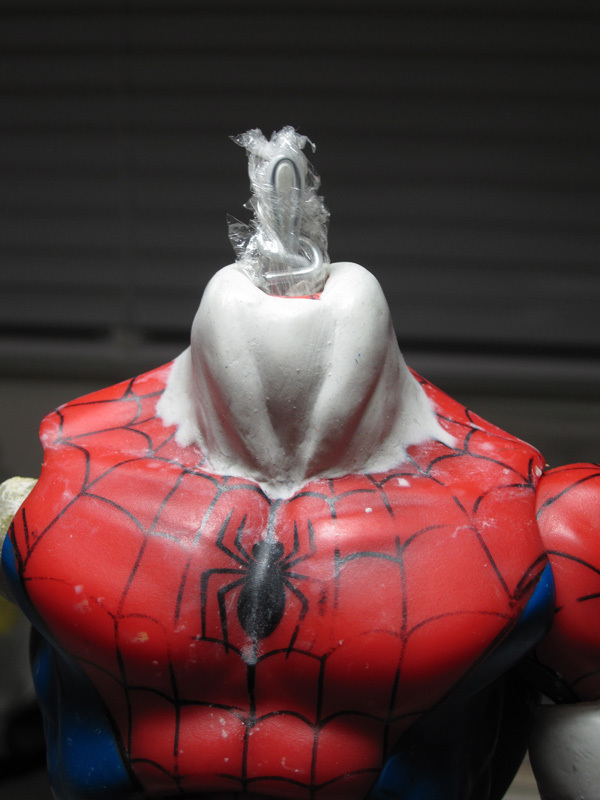 The head is from DC Deluxe Green Lantern, but shrunk down slightly and with newly sculpted hair. 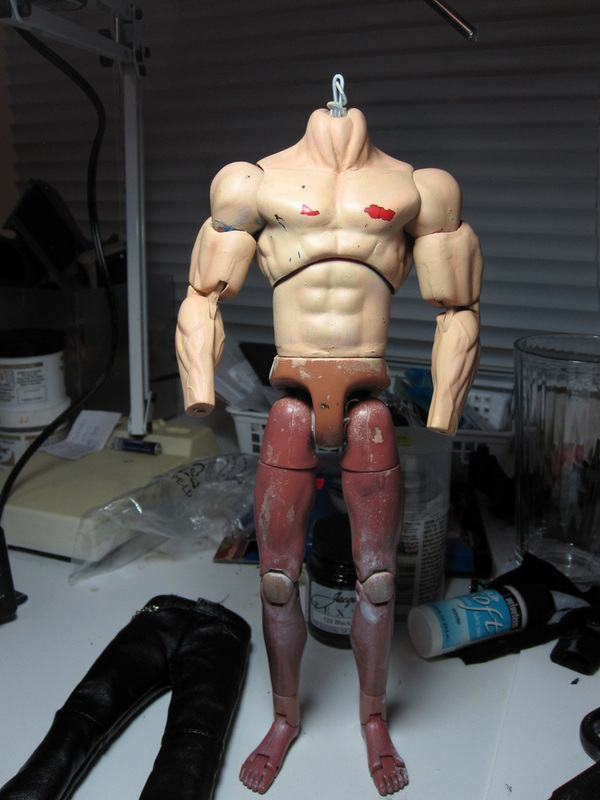 The body is a combination of Marvel rotocast figures and DC Deluxe arms, plus a lower body from DID. 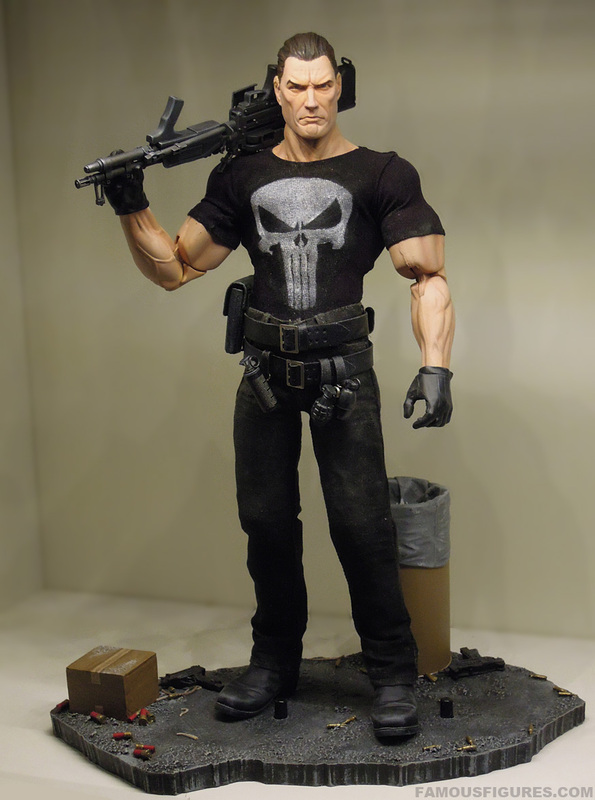 The shirt is handmade and sprayed, while the jeans were dyed black and weathered. 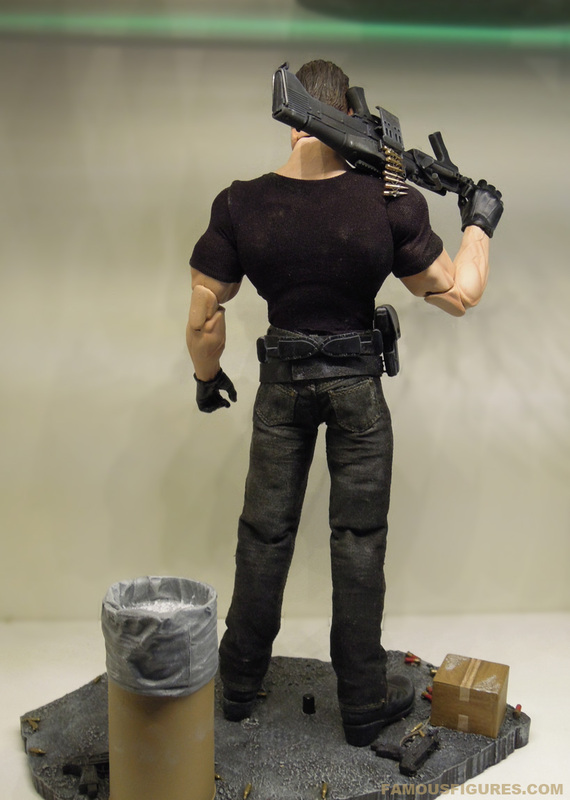 The M60 machinegun is an old 21st Century Toys or Barrack Sergeant piece which was repainted and weathered. 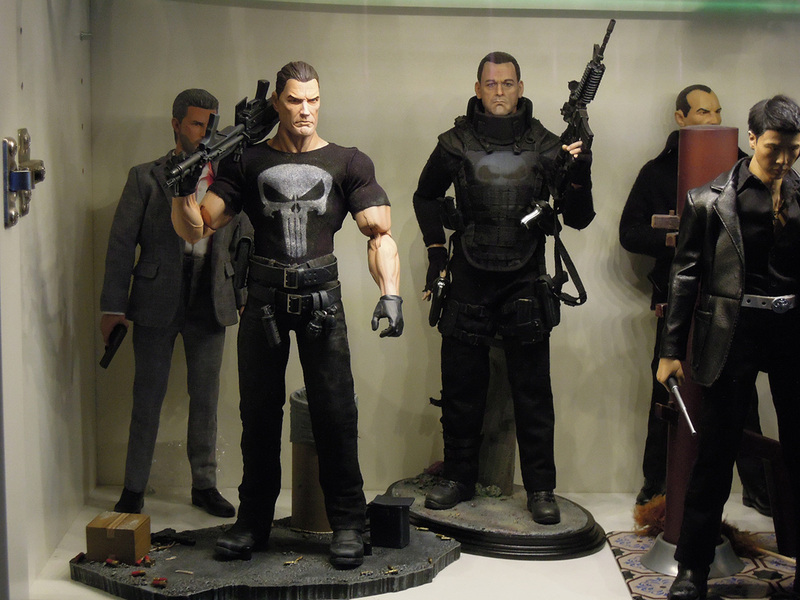 I’ve seen both this and the Barracuda figure, and I must say, they are extraordinary pieces! 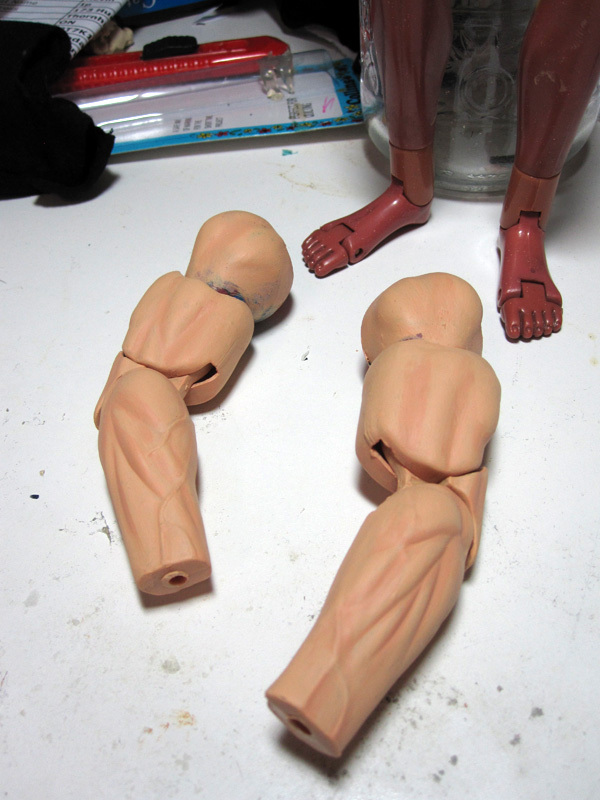 I was wondering if you would be willing to sell them or in other case, make two like these for sale. I am really interested in adding pieces like these to my collection, Thank you for your time. Keep up the great work! Thanks for your kind words! This piece is not for sale currently and I’m not making any further at the moment. I will let you know if that changes. Thanks again!